W. CONSHOHOCKEN, Pa., July 16, 2013—Harold E. Yohn, product application specialist at Tinius Olsen Testing Machine Co., Horsham, Pa., has received the ASTM International Award of Merit from Committee D20 on Plastics. 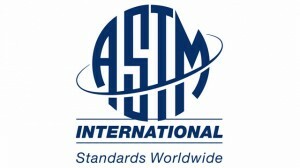 The Award of Merit and its accompanying title of fellow is ASTM’s highest organizational recognition for individual contributions to standards activities. Committee D20 honored Yohn for his significant assistance in the development of ASTM plastics standards, as well as his services as both a main and subcommittee officer. He serves as vice chairman (liaison-research) on the main D20 committee and leads the impact and high-speed properties, thermal properties and advisory subcommittees as chairman. A member of ASTM International since 1990, Yohn’s previous D20 work has been recognized with an Award of Recognition, Outstanding Achievement Award and Award of Excellence. Yohn began his career as an assistant manager with the United States Department of Agriculture in Cape May Court House, N.J., and then served as technical sales manager at Custom Scientific Instruments Inc., a division of Atlas Electric Devices Co., in Cedar Knolls, N.J. A graduate of the Pennsylvania State University, Yohn assumed his role at Tinius Olsen, the leading specialist manufacturer and supplier of static tension and/or compression materials testing machines, in 1996.